Home & School Mosaics - Free Trial for Discovery Streaming Plus from the Homeschool Co-op - Time is running out! 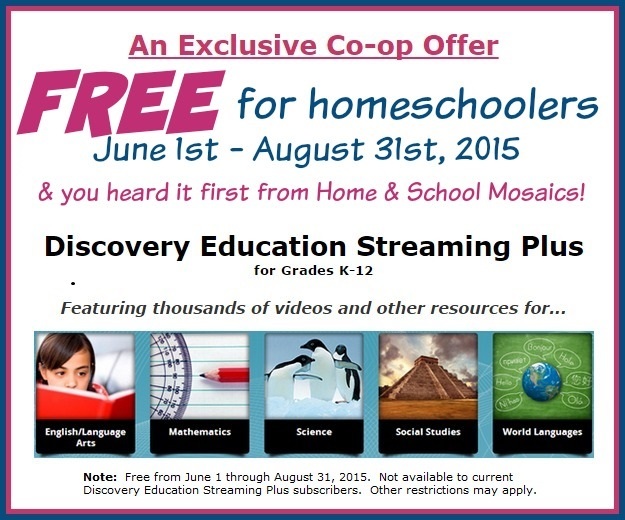 Just a friendly reminder - time is running out to take advantage of the free trial of Discovery Streaming Plus through the Homeschool Buyers Co-op. All of my boys have different learning styles, and that can make it difficult to find something to work for all three of them. There are three things I put into my homeschool budget every year - an annual subscription to Learning Ally (audio books for folks with a diagnosed learning disability), Amazon Prime, and Discovery Education. So I am excited to share the news that you can try it for FREE for the months of July, and August! You can watch from your computer, laptop, or tablet. I always find more videos that we could possibly watch on any given subject, but I'm always able to find what I need for each boy. 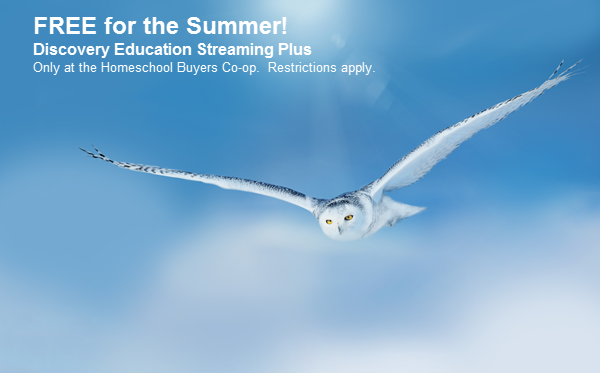 You have nothing to lose, so hop on over to Homeschool Buyer's Co-op and take advantage of this gift today! Home & School Mosaics - Something Great and FREE! from the Homeschool Buyer's Co-op for the Summer! Sorry for not blogging regularly, but I'm not only teaching my boys - I'm a student myself! That doesn't leave me much time for blogging. All of my boys have different learning styles, and that can make it difficult to find something to work for all three of them. There are three things I put into my homeschool budget every year - an annual subscription to Learning Ally (audio books for folks with a diagnosed learning disability), Amazon Prime, and Discovery Education. So I am excited to share the news that you can try it for FREE for the months of June, July, and August! I was given a free trial of Homeschool Planet for review purposes. 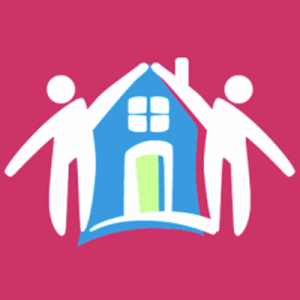 Homeschool Planet is the name of an online planner produced by Homeschool Buyers Co-op. I can't count the number of great deals I've gotten over the years through Homeschool Buyers Co-op so I wasn't at all surprised to find that they produced this quality product. 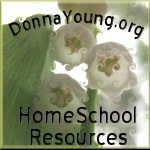 Homeschool Planet is completely online. This means you can access it on your tablet, computer or smart phone. It does not care if you have a PC or Mac or iOS or Android. If you prefer a paper planner - which I do - then you can print out your information. Even better - this is not just a school planner. You can enter EVERYTHING - your schedule - your spouse's schedule - the kids activities - church activities, etc. 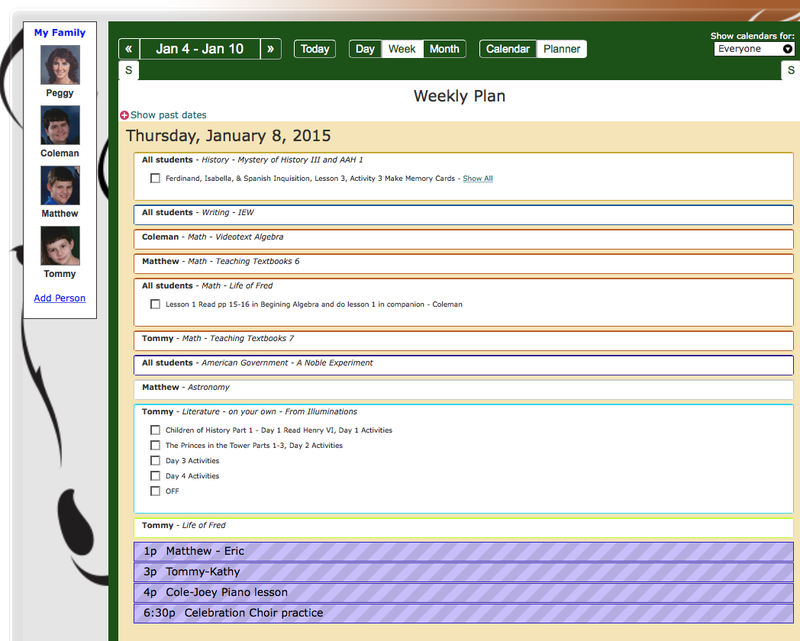 It can sync with your other online calendars - I synced mine with Google. It really helped with the data entry process. Easily confused? (That would be me.) They have a handy series of tutorials to help you out. You can access these here. They cover using widgets, deleting a single day, getting started with attendance, grading, creating a student login, making family profiles, scheduling your classes, and how to find that pesky share address to sync the program with your Google calendar. I went back to college this fall so I haven't been able to enter all of our information in it yet. It is perfect for my husband - who just retired - to keep track of everything and I can also keep tabs on how the school work is progressing. 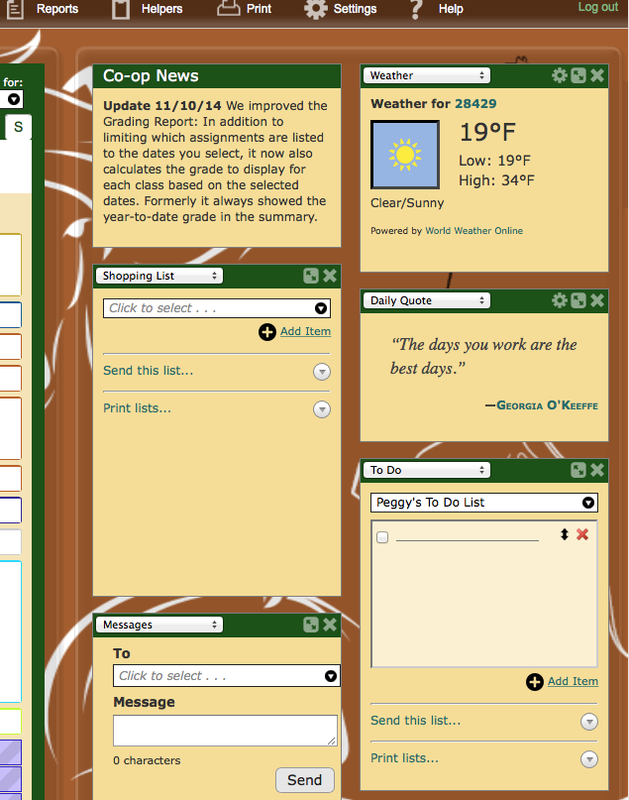 I'm also going to create logins for the boys so they can go in and check off their assignments. One of the things I love most about this are the possibilities. I love that you can customize your display. You can see a week for everyone, for one student, or all of your family. You can see by day, week, or month. You can look at the calendar or just the planner. I'm sure there are tons of things you can do with it that I haven't had a chance to attempt. This planner is versatile, easy to use and portable. You aren't limited by the operating system on your computer, though you do need to have internet access. The learning curve is very slight and the tutorials and the super responsive customer service staff will help smooth any bumps along the way. The initial data entry is probably the hardest part of using the program. All the information you enter is saved and you don't lose it when you convert your trial subscription to a paid one. All of your information is encrypted and is backed up nightly by their servers. These are also customizable and you can add the ones you wish. Choose from Messages (which you can use to send texts or emails to family that you have entered that information for), To Do, Weather, Shopping List, Daily Bible Verse, Daily Quote, and Lookup (choose to search Google, Bing,Amazon, Homeschool Buyers Co-op, Bible, Dictionary, Thesaurus, Recipes or Wikipedia. You can customize your Grading and track class hours if you need to do that for record keeping purposes. You can create your own subjects and classes. There is also a feature to create transcripts. Best of all, you can start a 30 Day Free Trial without entering any payment information. You have to join the Homeschool Buyers Co-op but that's free and you get Smart Points when you sign up to be a member. After that if you'd like to continue you can choose from a monthly fee of $6.95 or an annual fee of $65.00. I'm looking forward to getting my college assignments put in as well so I can check off my work also! In case you hadn't noticed, I'm completely sold on this product. To see what others on the review team had to say about this great product, click here.